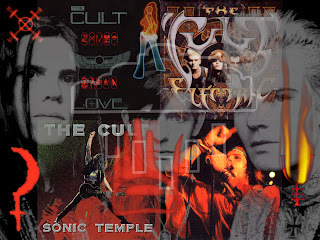 This is a live concert from The Cult, from 1985, the year they broke through to mainstream success in the UK. In March 1985, The Cult recorded their fourth single, "She Sells Sanctuary", which charted at Number 15 in the UK charts. It re-entered the charts at Number 56 in September 1986, spending 41 consecutive weeks on the charts. The song has also been voted Number 18 in one of VH1's Top Indie 100 charts. For me The Cult were one of the defining bands of the 'post punk' era. The clear impression was of a band that played what they wanted to play, with a refreshing energy, and enjoyment for good old rock music. Just to demonstrate how 'time flies' (as if the 1985 concert date was not enough) it was nearly two years later that The Cult, toured the USA as headliners, with a widely unknown band called Guns'N'Roses. This is The Cult at The Hammersmith Odeon, London, on the 31st October, 1985.